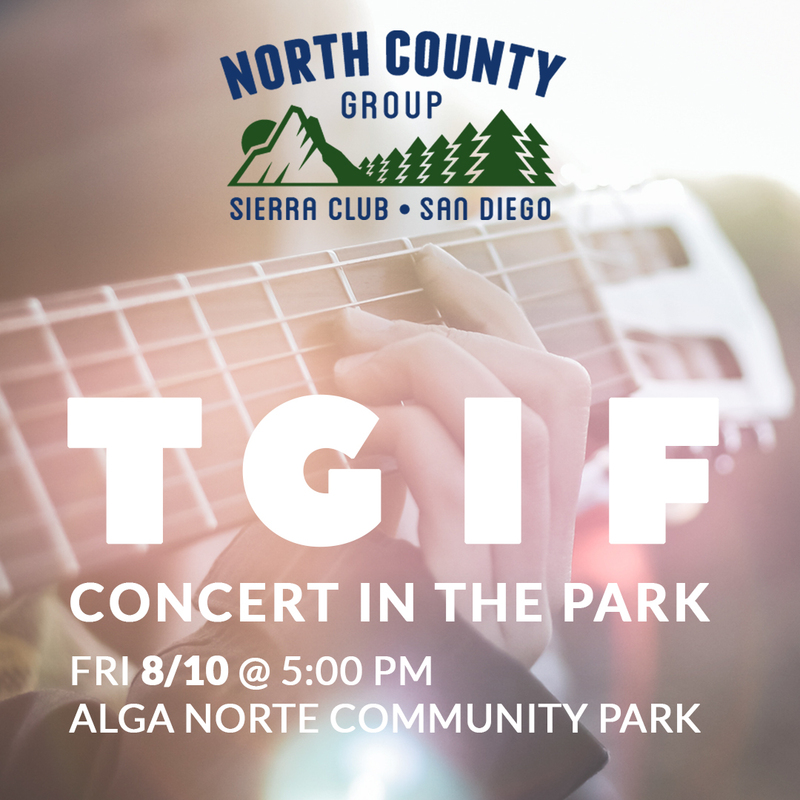 Join us for the TGIF Concert in the Park | North County Group – Sierra Club S.D. The perfect good vibes to kick your weekend off right! Come unwind with us Friday 8/10 @ 5:00 PM for our TGIF Concert in the Park. You bring a potluck dish to share, Orgone will provide the jams. We will save a space at the concert for our group. Due to popularity of these concerts, please plan to arrive early. Carlsbad TGIF Concerts allows alcohol during the concerts. Please drink responsibly.